OK, EPA, FDA and CDC, you can't have it both ways. Either mercury is toxic and it doesn't belong in the human body; or mercury is no big deal and we can eat and drink it, breathe and bathe in it, as well as inject it into our bodies with no worries. How come you can close down schools when a kid breaks a mercury filled thermometer on the floor and you are going after practitioners of voodoo for using bits of mercury to ward off evil spirits, but you insist on injecting mercury directly into the bloodstreams of American babies through vaccination? You are guilty as charged for practicing voodoo medicine and voodoo politics on the American people. Going after the First Amendment to the Constitution, which guarantees freedom of religion in America, is a clever way of deflecting attention from your regulatory responsibilities to insure that products consumed by Americans are free from toxic substances. 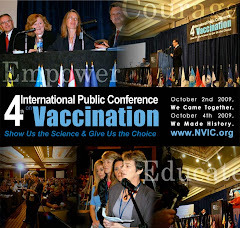 Why are we subjected to laws which require us to inject mercury, aluminum, formaldehyde, and phenoxyethanol into our children through vaccination? Leave the First Amendment alone and do your job. An FDA that is paid by the pharmaceutical industry to do its job is not an FDA that is looking out for the public's interest, it is the FDA looking out for its own interest and the interest of its funder: the industry it is supposed to be regulating. Shame on Congress for allowing the drug industry to bully and bribe the only federal regulatory agency standing between the people and toxic drugs and vaccines. Unfortunately, most drugs and vaccines that have been fast tracked by the FDA since Pharma began funding the FDA in the 1990's are suspect and should have independent confirmation of their safety and efficacy. With FDA sold out to Big Pharma, the only way the American public can protect themselves is to "just say no" to drugs and vaccines that may not have been adequately tested by an FDA pandering to an industry in search of quick and easy profit making. 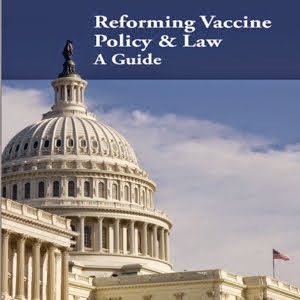 With Congress failing to do it, Americans have no choice but to protect themselves from dangerous drugs and vaccines licensed by an FDA owned by Pharma. In yet another stunning demonstration of callous disregard for the health of American citizens, a pathetically weak and useless Food and Drug Administration has given the green light to industry microbe hunters to spray cold cuts, poultry and other meats with a mix of viruses that are supposed to eat bacteria contaminating the meat without hurting anyone in the process. Right. And the best part? Meat producers won't have to tell consumers which meats have been bathed in the viruses so everyone gets a dose eating a hot dog at a baseball game or frying up some ham and eggs for breakfast - whether they want it or not. And when Uncle Leo in the Bronx drops dead from a mysterious infection after eating an italian sub at a neighborhood picnic, the story will be: it wasn't the virus infected sausage that did it, it was - A COINCIDENCE. (But if enough people drop dead after eating virus infected meat, an enterprising drug company will probably develop a food vaccine and convince the CDC to mandate it). In America, apparently the only way consumers will be able to protect themselves from FDA-sponsored contaminated meat is to become a vegan or go organic. It's an expensive alternative but a small price to pay to keep viruses, chemicals and hormones that don't belong in the food we eat out of our bodies.